This paper draws on the author s extensive experience in the clinical research focused on the implementation of the new biotechnologies able to identify precancerous cervical lesions and is intended to be a systematic approach to new achievements. The goal of this review is to provide updated information concerning the significance of each biotechnology used in clinical medicine to screen women for cervical cancer or to allow a pertinent discrimination between spontaneous remission lesions and progressive lesions. The data is arranged according to the most widely used biotechnologies and the worldwide recommendations of specialized guidelines. In the vascular system, angiogenesis and arteriogenesis play a unique yet equally important role in both health and disease. Angiogenesis, the formation of new blood vessels from a preexisting vascular bed, occurs naturally during wound healing, the female menstrual cycle and pregnancy. It plays a critical role in tissue growth and repair, and is a highly controlled process that is dependent on an intricate balance of both pro-angiogenic (to stimulate) and anti-angiogenic (to negatively regulate the phenomenon) factors. Otherwise, the term arteriogenesis refers to anatomic transformation of preexisting arterioles with increasing lumen area and wall thickness, due to a thick muscular layer and purchasing of visco-elastic and vasomotor capacities. Arteriogenesis differs from angiogenesis in several aspects, the most important being the dependence of angiogenesis on hypoxia and the dependence of arteriogenesis on inflammation. The expression of growth factors and the cooperation of surrounding and infiltrating cells seem to be essential in orchestrating the complex processes during arteriogenesis. 3. Triple positive breast cancer - a novel category? Breast cancer (BC) biology is of outmost importance for its therapeutic management and for establishing patients’ outcome. Breast cancer has been divided in subtypes depending on the presence of hormone receptors (HRs) for estrogen and progesterone and human epidermal growth factor receptor 2 (HER2) gene amplification. Recently, a distinct subcategory has been analyzed from the group of HER2-enriched BC with positive HR, namely HER2 positive with high levels of hormone receptor expression, suggestively named “triple positive” breast cancer. We aim to review current evidence on this subtype of BC, from the molecular mechanisms regulating its behavior to the current standard treatment outcome in order to establish whether it qualifies as a new distinct subtype of BC. Its biology is dominated by the crosstalks between HR pathway and HER2 pathway, which might be responsible for the development of rapid resistance to treatment, because of estrogen receptor up-regulation and alternate regulatory pathways activation when anti-HER2 agents are used. “Triple positive” subtype has apparently similar outcome when treated with chemotherapy alone, compared to chemotherapy and anti-HER2 agents treatment. It resembles more to luminal A breast cancer, with positive HR and HER2 negative. However, most of the clinical evidence is provided by retrospective trials with multiple potential biases. Treatment of “triple positive” subtype of BC with anti-HER2 agents and chemotherapy remain standard until stronger evidence will be available. Whether “triple positive” category should be regarded as a separate entity with distinct characteristics and management has to be demonstrated in future better designed trials. Autophagy is a catabolic degradation system used to destroy and recycle the unnecessary or damaged components of a cell. Autophagy is present at a basal level in all mammals and is regulated by some conditions, such as oxidative stress, starvation or hypoxia. In aged tissues, increased but also decreased expression of autophagy-specific proteins, Beclin 1, LC3, Atg5 and Atg7 has been reported. Likewise, it could be shown that the lifespan of yeast, nematodes and flies is prolonged by pharmacologically stimulated autophagy using exogenous administered spermidine. Autophagy is potentially implicated in acute lung injury and sepsis, two main causes of morbidity and mortality worldwide. Finally, a quite recent study supports the hypothesis that autophagy might be useful in vascular disease prevention by stimulating cholesterol efflux, which leads to inhibition of necrotic core formation and lipid accumulation. Since autophagy is also implicated in neuroprotection, in Alzheimer’s and Huntington’s disease animal models and many others normal and pathological states, including immunity, diabetes mellitus, different kind of tumors, colorectal cancer, different inflammations, lung diseases, neurodegenerative diseases, autophagy is of interest to many biomedical researchers. Squamous cell carcinoma (SCC) in situ or Bowen disease (BD) is a slowly progressive malignancy. However, cases of regression have been reported. Recent reviews cover only certain aspects of this disease; therefore, this paper s aim is to cover all the relevant aspects for medical practice, such as clinical, histological and therapeutic details. BD may affect all regions of the skin and mucosa, but in accordance with the region and etiologic factor, it may embrace different clinical forms, some of them very similar with other skin lesions. Dermoscopy may prove useful for establishing a clinical diagnosis. Several patterns have been encountered and may help distinguishing from other diseases. When in doubt, puncture biopsy or complete excision may be performed in order to obtain histological data that could define BD. Different morphological aspects of the involved components are described in order to reduce the risk of misdiagnose. In order for the approach to be complete, relevant information about treatment has been presented, underlining the pros and cons of each available therapy. Aristolochic acid (AA) is a bioactive component of Chinese herbs, dietary supplements, slimming pills and contaminated flour, which is known to induce chronic tubulointerstitial disease. AA is also shown to be involved in the genesis of the upper urinary tract urothelial carcinoma (UTUC) and some other cancers, but its tumorigenic role is far to be understood. We performed a systematic literature review regarding the involvement of AA in malignant processes and molecular pathways of carcinogenesis. Twenty representative papers were selected for this review. These papers reveal that AA exposure increases the risk for UTUC, renal cell carcinoma, hepatocellular carcinoma, gastric and small intestine cancer. The role of AA in lymphomagenesis is also proposed. The A:T to T:A transversions occurring in the 5-CpApG-3 trinucleotide context of the TP53 gene is considered to be the signature mutation of AA. Genes including H-ras, FGFR3, N-ras and BRCA2 are also involved. For further understanding of AA s role in tumorigenesis, the exploration of the AA s molecular signature is necessary. The climate changes, which occurred during the last decades, put all living species in front of new challenges. Human biology is no exception to it, all tissues have to face new effects, with unpredictable consequences. Many cancers, mainly affecting the skin, but also many of the eye various structures diseases, have ultraviolet radiation as recognized causative agent. The aim of our work is to highlight the changes that can occur after exposure to ultraviolet radiations of soft tissues, including eye structures, by reviewing data from the scientific literature regarding the matter. Responsible for severe diseases, including cancer, ultraviolet negative effects on various soft tissues can be limited by better comprehension. Their knowledge can contribute to improving public health, by finding new preventive methods, which might represent the foundation of effective public health programs. Genetic-guided nutritional supplementation therapy in personalized medicine is the type of treatment that prevents and acts against errors during the copying process of a cell s deoxyribonucleic acid (DNA), mistakes that lead to diversification in the DNA sequence at certain locations, called single nucleotide polymorphisms (SNPs). Positive results are quickly achieved using one of the four types of therapy. These types are: personalized, when individual human genetic variations drive individual treatment, preventive, with a tailored healthcare strategy and therapeutic preventive drugs and vaccines, participatory, when empowered patients make informed choices and take responsibility of their own health and predictive, using a proactive approach to health and medicine. Stroke is one of the most important cause of death and disability, especially when considering the increasing life expectancy worldwide, with ischemic stroke being much more common than hemorrhages. In the physiopathological chain of ischemic stroke, brain edema is one first element that if attended to might reduce tissue necrosis, penumbra, and increase functional recovery. Aquaporin 4 (AQP4) has been found to be the most important water channel in the brain, and its inhibition before inducing focal ischemia in an animal model of stroke proved to alleviate the pathology and improve clinical recovery. In this study, we have treated a rat model of ischemic stroke with the AQP4 inhibitor TGN-020 after inducing the lesion, and performed for the first time a direct histopathological evaluation of the brain and infarct s volume. Besides utilizing immunohistochemistry targeting the growth-associated protein-43 (GAP-43) in order to delineate the infarct regions, we have used the Cavalieri s principle of tissue volume measurements starting form seriate sections, and for the first time in neuropathology, we have utilized a high-resolution object scanner to assess global brain volume changes. Our results showed that TGN-020 clearly reduces infarct volume in TGN-020 treated animals compared to untreated animals, as well as the volume of the brain hemispheres. Although reduced, the effect was also present in the contralateral hemisphere. Given these data, a more in-depth characterization of the histopathological and molecular changes induced by AQP-4 are needed for considering it as a bona fide treatment option. Several studies have indicated that abnormal prenatal changes in the circulating glucocorticoids (GCs), induced by either maternal stress or exogenous GC administration, significantly alter the development of Purkinje cells (PCs). Among the suggested mechanisms that could mediate this GC-dependent PC susceptibility are changes in the expression of type-1 metabotropic glutamate receptors (mGluR1). In the current study, we analyzed whether a single course of prenatally administered betamethasone phosphate (BET) in pregnant rats increased the immunohistochemical expression of mGluR1 in PCs and decreased PC dendritic growth. The data obtained showed that in utero BET exposure resulted in a significant immunohistochemical overexpression of mGluR1 and a significant reduction in Purkinje cell dendritic outgrowth during postnatal life. Systemic lupus erythematosus (SLE) is characterized by a multifaceted pathogenesis and a heterogeneous clinical expression. The kidney involvement is almost unavoidable in all forms of SLE with chronic evolution, 75% of patients developing renal lesions defined as lupus nephritis (LN) - a glomerulonephritis with an extremely diverse lesion spectrum. The present study aimed to reevaluate a series of cases diagnosed as LN, focusing on the histological features in correlation with the level of activity and chronicity. The study group comprised 46 patients. The specimens obtained through percutaneous needle biopsies were processed for light microscopy and immunofluorescence exams. The reevaluation process focused on the major morphological parameters ensuring: (i) a detailed description of the lesions, (ii) the class diagnosis in accordance with the International Society of Nephrology/Renal Pathology Society (ISN/RPS) classification, (iii) the activity and chronicity indexes. In 39 out of the total of 46 (84.78%) cases, the class of LN established at the time of the renal biopsy was confirmed in the reevaluation process. The differences in diagnosis were present in seven cases, initially considered as pure membranous glomerulonephritis - class V. The values of indexes indicated a great variability of LN within the same class. The interobserver agreement for the scoring of activity and chronicity indexes was 0.8 and 0.95, respectively. Our study emphasizes the complex lesion character, which requires an individual and accurate identification, followed by integration in the classification algorithm used to define the classes and subclasses of LN diagnosis. The degree of activity and chronicity in SLE must be refined through a much more precise correspondence between the score value and the limitation or extension of corpuscular and interstitial lesions. Endobronchial ultrasound-guided transbronchial needle aspiration (EBUS-TBNA) is a minimally invasive method for diagnosing and staging of lung cancer. EBUS-TBNA obtained small specimens. Rapid on-site examination (ROSE) is a rapid, real-time examination method. The aim of our study is to evaluate the impact of ROSE on adequate specimen sampling, rapid results and high diagnostic rate. We present the experience of the Department of Bronchology, Leon Daniello Clinic of Pulmonology, Cluj-Napoca, Romania, with EBUS-TBNA as a tool for diagnostic of adenopathies of unknown etiology. We evaluated the diagnostic capacity of ROSE for malignant tumors, by considering the histopathological examination as the diagnostic gold standard . In our retrospective and descriptive study, we analyze the data of 147 EBUS-TBNA examinations with ROSE and histopathological exam, performed for diagnostic purposes for hilar and mediastinal adenopathies of unknown origin. The age of the patients varied from 21 to 80 years, with an average age of 54.36 years. There were 98 male patients, representing 66.66% of the group. From the total of 90 cases of malignancy, 72 (80%) cases were identified as a primary lung tumor, 13 (14.44%) cases were identified as lymphoma, and five cases as malignant tumor of extrapulmonary origin. The sensitivity of the ROSE is 85.71%. By the introduction of this method, EBUS-TBNA with ROSE, in our country, we can diagnose patients with lung and mediastinal tumors, which cannot be diagnosed by traditional bronchoscopy. This brings a valuable contribution to the improvement of lung cancer diagnostic. Squamous cell carcinoma (SCC) of the lip represents 15-30% of SCC of cephalic extremity, located on the lower lip in about 90% of cases. The present paper aimed to define the profile of SCC of the lip with major risk factors. The study included 20 selected cases diagnosed with lower lip SCC, using a panel of antibodies which addressed cell proliferation (Ki67), perturbation of the cell cycle (p53), angiogenesis (VEGF - vascular endothelial growth factor), factors related to tumor cell interaction with the extracellular matrix (CD44). Ki67 immunoexpression was identified in all the cases. Poorly differentiated (PD) SCC presented a mean value of Ki67 positivity index (PI) significantly higher compared to well-differentiated (WD) and moderately differentiated (MD) SCC. We found significantly higher mean values of Ki67 PI in pT3 lesion, compared with pT2 and pT lesions, and with no statistically significant differences in lip SCC with associated lymph node metastasis (pN1), compared to those with no lymph node metastasis (pN0). PD SCC presented a higher mean value of p53 PI compared to WD and MD SCC, but without significant differences. Analysis indicated significantly higher values in pT3 lesions and in pT2 and pT1 and in pN1 SCC. In WD SCC, CD44 immunoexpression had a higher intensity. For PD and MD SCC the immunolabelings presented low/moderate heterogeneous intensity. WD lip SCC presented a statistically significant higher mean value for CD44 PI compared to MD and PD SCC, and not statistically significant higher in pT1, pT2 then in pT3 and in pN0 cases then in pN1. WD lip SCC presented statistically significant higher mean value of VEGF PI related to those with MD and PD SCC. VEGF PI values were higher in pT1, pT2 then in pT3 and in the pN0 SCC, but without statistically significant differences. We found a positive linear correlation for Ki67/p53, although statistically not significant and for CD44/VEGF statistically significant (p=0.001). Also, the analysis identified negative a linear statistically significant correlation for Ki67/CD44 and for Ki67/VEGF statistically significant as well (p=0.001). Immunohistochemical investigations in lip SCC, regarding the expression of p53, Ki67, CD44 and VEGF, revealed results that suggest their ability to assess the prognosis and progression of tumor evolution. Dental wear represents an irreversible loss of dental hard tissue under the action of physical, chemical and mechanical factors, excluding dental caries and acute trauma. Four clinical forms of dental wear are described: erosion, attrition, abfraction, and abrasion. Most experts agree that in each clinical form multiple etiological factors are involved, one being predominant. Optical coherence tomography (OCT) is a non-invasive optical method characterized by a micronic resolution. The applications of this type of investigation are multiple in the medical field in recent years, and OCT is gaining a growing importance in dentistry. The study pointed out through OCT imaging for the erosive tooth wear lesion the existence of chemical aggression, with strong demineralization of enamel and dentin. For attrition lesion, OCT images showed the contribution of excessive force and friction movements specific to bruxism. In abfraction, OCT image revealed the importance of the mechanic factor in producing this form of tooth wear and abrasion damage studied may be considered physiological, according to patient age. OCT examination may reveal existing lesions in hard dental tissues for each clinical form and could bring evidence on the mechanisms involved. Steatosis is a frequent feature of hepatitis C virus (HCV) infection. Steatosis may be an important cofactor in both accelerating fibrosis and increasing liver necroinflammatory activity in chronic hepatitis C. The main objective of this study was the evaluation of biological response rates, early viral response, sustained viral response in patients with chronic hepatitis C treated with Interferon-alpha (IFN-alpha), Pegylated (PEG)-IFN-alpha2a or -alpha2b plus Ribavirin and to relate it to the presence of hepatic steatosis. There were selected to take part to the research 210 patients with chronic hepatitis C who have fulfilled all inclusion and exclusion criteria and were treated with PEG-IFN plus Ribavirin. Patients progress has been monitored by determining next parameters: age, gender; biochemical tests - alanine aminotransferase (ALT), aspartate aminotransferase (AST); serological assays - detect antibody to hepatitis C virus (anti-HCV); molecular assays - detect, quantify and/or characterize HCV-RNA; liver histopathological examination. Steatosis was graded using the Brunt system. These parameters were included in an area under curve (AUC) analysis. Purpose is to estimate their degree of influence on getting early viral response (EVR) and sustained viral response (SVR). Based on the obtained results, it appears that initial value of HCV-RNA, dVL parameter value (low relative percentage of viral load during the first 12 weeks of treatment), histological scores steatosis may be predictive in the viral response in chronic hepatitis C. Our research demonstrates that a high degree of liver steatosis impairs both EVR and SVR in chronic hepatitis C treated with standard PEG-IFN and Ribavirin for 48 weeks and that a steatosis score of <=3 predicts EVR with a sensibility of 91.03% with specificity of 21.54%. Background: Currently, sufficiently accurate field methods for body composition assessment in children are missing. The ultrasound method for assessing adipose tissue thickness has been used extensively in sport medicine. However, there are no studies looking at the reliability of this method in non-athletic children. This paper aims to determine the inter-observer reliability in measuring the uncompressed subcutaneous adipose tissue thickness using ultrasound, in children. Subjects, Materials and Methods: Forty healthy children (20 males, 20 females), median age 11.85 years (5.3 to 18.1 years) were evaluated. Median body mass index standard deviation score (BMI SDS) was -0.13 (-3.9 to 4). Three observers used a Hosand BX 2000 Ultrasonic Adipometer to measure uncompressed subcutaneous adipose tissue thickness at three sites: triceps, subscapular, supraspinale. A single experienced observer used the three sites to also measure the compressed adipose thickness using a skinfold caliper. Results: Individual observer deviations from the mean value of the three observers in adipometer measurement had a standard deviation of 1.74 mm, 92.8% were less than 3 mm. Analysis separated by individual anatomical sites showed high reliability values for triceps: linear regression R(2)=0.84, p=0.000; intraclass correlation coefficient (ICC)=0.92 and standard error of measurement (SEM)=0.63. The values at supraspinale site were R(2)=0.82, p=0.000, ICC=0.89 and SEM=1.17, while for subscapular the values were lower: R(2)=0.79, p=0.000, ICC=0.78 and SEM=1.02. The body fat percentage (BF%) calculated using skinfold measurements was highly correlated with the BF% calculated by the adipometer (R=0.92, R(2)=0.83, p=0.000). The Pearson s correlation between BMI SDS and BF% calculated from skinfold was R=0.52, R(2)=0.28, p=0.001, while for the adipometer it was R=0.53, R2=0.27, p=0.000. Conclusions: This novel ultrasound measurement technique can be used with good accuracy and reliability to measure uncompressed subcutaneous adipose tissue thickness in children, sustaining its application for research and clinical purposes, however larger studies are needed. Accumulating evidence that microRNA (miRNA) genes are involved in different processes associated with gastric carcinogenesis. The polymorphisms located on miRNA sequences may affect the interaction with their target messenger RNAs (mRNAs) and, consequently, genetic susceptibility to disease. The aim of our study was to investigate the association of miR-149 rs2292832 C>T polymorphism and gastric cancer susceptibility in Romanian patients. A total of 142 patients with gastric adenocarcinoma and 288 healthy controls were included in this study. The miR-149 rs2292832 allelic variants were genotyped by real-time polymerase chain reaction (RT-PCR) using specific TaqMan predesigned probes. The association between polymorphism and gastric cancer risk was estimated by odds ratio (OR) and 95% confidence interval (CI). The miR-149 rs2292832 C>T was not associated with susceptibility to gastric cancer, when TT genotype was compared with the more frequent AA genotype (OR 0.98, 95% CI 0.55-1.77, p=0.96) or when we used dominant and recessive models. Also, we compared allele frequencies and no correlation was found (OR 0.92, 95% CI 0.68-1.24, p=0.57). The sub-classification of gastric cancer into non-cardia and cardia or intestinal and diffuse type did not reveal any statistically significant difference for investigated polymorphism. Pathological external root resorption is a process by which the hard tooth substance is lost because of action of different local irritative or systemic factors. Six forms of external root resorption are described: surface external root resorption, inflammatory external root resorption, replacement external root resorption, invasive external cervical root resorption, ankylosis and transient apical breakdown. The objective of the study was to establish the prevalence of the pathological root resorption in a retrospective radiological study, to highlight radiological aspects of external root resorption and to describe optical coherence tomography (OCT) aspects in pathological root resorption. External root resorption prevalence in our study was 17%. Radiological exam was very useful to detect the form of root resorption but also to establish possible etiological factors. The study presents the radiological aspects of some forms of pathological external root resorption highlighted on radiography accompanied by radiolucency of the adjacent bone to resorption lesion (as in inflammatory external root resorption and in invasive cervical root resorption) or as changes of the root form, in which the missing part of the root is replaced by the bone tissue, without radiolucency (as in replacement root resorption). The comparison of the OCT aspects of the physiological root resorption in primary teeth with the OCT aspects of pathological root resorption in permanent teeth showed an obvious difference between the images of the OCT signal of the two types of resorption. The OCT signal from the cement is stronger in pathological root resorption, and the OCT signal from the dentin in teeth with inflammatory external root resorption showed a demineralized dentin with multiple heterogeneities, anfractuosities corresponding to resorption craters, with craze lines in subjacent layers of dentin. The differential diagnosis between reactive atypia and non-invasive neoplasia (or dysplasia) can be challenging in the case of small conventional forceps biopsy specimens of the stomach. Despite the existence of several classifications for neoplastic epithelial lesions of the stomach, there are few auxiliary tools for aiding in this decision besides standard stains. We studied the utility of Ki-67 and p53 immunohistochemistry in this setting and their clinico-pathological correlations, based on a set of 99 cases with cytological or architectural atypia reviewed by three pathologists. We also tested a digitalized method based on the ImageJ software for the evaluation of Ki-67 expression to determine whether this could be of an additional help. Conclusions: Ki-67 and p53 expression correlates well with microscopic and morphological modifications in biopsies and can be a useful tool in confirming or dismissing an impression of dysplasia in routine pathological work-up. Digital processing is cumbersome and of limited value and it could only be of additional help if more automated methods are developed. The pleomorphic adenoma is the most frequently encountered tumor of the salivary glands, representing between 45% and 75% of the total number of the tumors of the salivary glands. According to the literature, there are many studies on the immunohistochemical aspects of the myoepithelial cells, present in the pleomorphic adenoma of the salivary gland. A big diversity of mono and polyclonal antibodies, such as the cytokeratins, muscular proteins and other markers, has been used. In our study, we investigated the immunohistochemical aspect of bone morphogenetic protein 6 (BMP6) marker concerning 15 cases of pleomorphic adenomas of the salivary glands. In the immunohistochemical study, we used the paraffin blocks that served for obtaining the sections necessary for the classical histopathological processing by means of the usual stainings. The immunohistochemical study used the enzymatic detection and the LSAB 2 (Labeled Streptavidin-Biotin 2) System technique as the working method. In order to underline the process of epithelial-mesenchymal transition, we also used double sequential immunohistochemical reactions. By the use of the BMP6 marker, we intended to evaluate the reactivity of the various tumor components in the pleomorphic adenomas of the salivary gland, for this marker, taking into consideration its possible involvement in the process of the epithelial-mesenchymal transition. The maximum reactivity for BMP6 was recorded at the level of the normal, excretory, intratubular units, in the luminal cells of the proliferative ductal units, in the myxoid matrix, the cytoplasm of the myxoid stellate cells and the plasmacytoid matrix and the cytoplasm of the chondroid lacunar cells. Some of the cells belonging to the solid, proliferative areas, some of the abluminal cells, that are part of the proliferative ductal units and certain myxoid stellate or plasmocytoid cells contain the S100 protein, which would indicate the existence of some processes of mesenchymal epithelial/myoepithelial transdifferentiation in the development of this type of salivary tumor. The BMP6 expression is specific to the serous acini salivary cells, which are the most specialized epithelial salivary gland cells. The study demonstrated that the mesenchymal epithelial/myoepithelial potential of transdifferentiation of the luminal cells that make up the proliferative units is certified by the immunohistochemical expression of some BMP6 purely mesenchymal protein cells. Chronic liver diseases represent a public health problem both at global level and in our country. Their significance is due not only to the large number of cases but also to their severe complications and associated diseases, which increase the gravity of prognosis. Hepatopathies generally develop by formation and accumulation of fibrous tissue, which leads to architectural distortions in the structure of the liver. Hepatic fibrosis is the result of chronic injury and plays a direct role in the pathogenesis of the hepatocellular dysfunction and portal hypertension. Histopathological changes depend on the stage of the disease and are an essential factor in the therapeutic options and prognosis of the disease. The analysis of histopathological changes at the level of the liver, in the patients with chronic liver disease evaluated by this study, shows that mesenchymal lesions and dystrophy have been present in more than 90% of the subjects, parenchymal lesions in 85% of the cases and fibrosis in 50% of the patients. In relation to the types of disorders, in chronic hepatitis the most frequent lesions described have been portal inflammation, portal fibrosis, and inflammatory infiltrate. In liver cirrhosis portal inflammation, porto-portal fibrosis and biliary neocanaliculi are also prevalent. The results of this study demonstrate the fact that, with the evolution of the disease, histopathological changes are more numerous and more pronounced. The aim of this study is to evaluate the osseointegration of a collagen-based material Alveoprotect, suitable for socket preservations, while preserving the vestibular bone lamella. This material is intended to be used in the field of implantology for smaller bone defects. Thus, 3-mm diameter experimental cavities were carried out on the calvaria and maxilla of 18 laboratory Wistar rats. The cavities were augmented with the collagen fleece Alveoprotect or left unaugmented as a control group and half of the laboratory animals were sacrificed after two months, and the other half after four months in order to evaluate in vivo the way in which the inserted material is osseointegrated. The obtained samples were submitted to a histological and immunohistochemical study. The bone defects healing followed the same pattern in all the three groups, but the bone wound healing evolution in the cases augmented with material Alveoprotect offered spectacular results especially in the cavities prepared in the calvaria. On the histological samples, we generally noticed the experimental defects filling with connective tissue with various bone ingrowths from the surrounding bone tissue. The collagen-based material Alveoprotect appeared as a biocompatible augmentation material that can be used successfully for the maintenance of bone volume in the case of small bone defects. Tubal pathology, smoking, pelvic inflammatory disease, miscarriage, medical or surgical abortion, usage of intrauterine devices (IUDs) for women with salpingitis latent injuries, older than 40 years, are risk factors for ectopic pregnancy. The objective of this study concerns the correlation of the clinical and biological evidence for the early diagnosis of the ectopic pregnancy and, as soon as possible, for the estimation for eventual risk of complications that may appear. The transvaginal ultrasound test, minimal increases in serum beta-human chorionic gonadotropin (beta-hCG) dynamics and blood counts are investigations of choice in achieving our objective. Overcoming beta-hCG critical level (>1198 IU/mL), the decrease of platelets and changes in platelet constants announce the imminent risk of ectopic pregnancy rupture and the need to take a quick decision on the course of treatment. Background and Aims: No deformity of the forefoot occurs more frequently than hallux valgus (HV), which is considered to be medial deviation of the first metatarsal and lateral deviation and rotation of the hallux, either with or without medial soft tissue enlargement of the metatarsal head. The HV deformity can lead to painful motion of the joint or difficulty in daily joint activity that often requires surgical correction. The aims of this study were to investigate the levels of foot pain and quality of life of patients with HV before and after surgery. Our study is focusing on imagistic investigations in HV, clinical aspects, specific treatment, foot pain levels, quality of life and general health before and after surgery. Patients, Materials and Methods: Our research was conducted in the period 2010-2015. We recruited 56 patients, 35 women and 21 men, age range 20 to 76 years, mean age 44.4 years, with HV (radiographic HV angle 25-40 and >40). We applied Visual Analogue Scales (VAS) for the foot pain and the Euro Quality of Life - five dimensions health questionnaire (EQ-5D). Results: The results show statistically significant differences concerning the foot pain levels in VAS and also pain/discomfort, mobility and anxiety/depression in the EQ-5D subscale in HV before and after surgery. The results prove high improvement of the scores of foot pain, discomfort, mobility and anxiety/depression after surgery. Concerning the participation in usual activities and the self-care, the obtained results were not statistically significant. Conclusions: Our research was a proof that the surgery in HV represents a fruitful pathway of intervention and care and shows a high rate of success, favorable outcomes and improvement in quality of life of the patients. Malignant lymphomas represent one of the most important problems of modern medicine, with a constant increase in the last decades, becoming the most frequent tumor among young people. Sinonasal localization is a particular site of malignant lymphomas, representing the second most frequent among ear, nose and throat (ENT) tumors. In this paper, authors present the clinical, diagnostic and therapeutic aspects of a malignant sinonasal lymphoma, which despite an aggressive histological subtype and important regional extension had a favorable clinical outcome. The patient presented to the ENT specialist with an important deformity of the nasal pyramid developed in the last two months. The anatomopathological exam and immunohistochemical analysis were conclusive for non-Hodgkin s lymphoma. The therapeutic course was cytostatic chemotherapy (in spite of the surgical approach) with beneficial oncological outcomes, which determined complete remission of the tumor. Computed tomography (CT) scan revealed a nasoethmoidal tumor with destruction of the nasal pyramid. Aim: Fibrolamellar carcinoma (FLC) has been considered a distinct clinical entity vs. hepatocellular carcinoma, with respect to its epidemiology, etiology, and prognosis. Case presentation: We describe the unusual case of a 23-year-old female patient with FLC and ovarian (Krukenberg) and peritoneal metastases, clinically mimicking an ovarian carcinoma. Multiple recurrences occurred despite initial R0 resection and chemotherapy, requiring surgical treatment. The patient survived five years and died from generalized disease. Discussion: The particularities of our case are discussed by comparison with the other two similar cases and other date from the literature. Conclusions: To our knowledge, the ovarian involvement encountered in our case is the third case published in literature, being explained by the superficial location of the liver tumor. We present the case of an adult patient with active post-primary pulmonary tuberculosis (TB) and discuss specific morphological and textural aspects found at high-field magnetic resonance imaging (MRI) of the lung. The 42-year-old man, heavy smoker, undertook a routine employment medical examination and was admitted to a referral pulmonology and TB center due to the abnormal findings seen on his chest radiography. The patient presented nonspecific symptoms, bilateral bronchial breath at pulmonary auscultation, inflammatory syndrome on the laboratory blood tests and positive sputum smears for acid-fast bacilli, which together with the typical aspect on the chest radiography lead to a diagnosis of post-primary pulmonary TB and administration of specific medication. To exclude a possible lung cancer and to reevaluate the extent of the disease, computed tomography and magnetic resonance imaging of the lung were performed. The magnetic resonance examination showed, with an accuracy similar to that of computed tomography, the morphology of active post-primary parenchymal TB lesions, as depicted on the T2-weighted acquisition. Moreover, the T1-weighted sequence using iterative decomposition allowed the assessment of both lipid and caseous pneumonia. To the best of our knowledge, this is the first reported case to assess post-primary pulmonary TB using high field MRI equipment, with an analysis from a morphological to a molecular level. By using a fast two-sequence protocol, both morphological, through T2-weighted acquisition, and textural information such as fat content, using dedicated T1-weighted sequence, can be obtained. Hemobilia is a rare cause of upper digestive bleeding, and it should be suspected when there are traumas of the liver area or surgical or exploratory interventions of the liver-bile-pancreas area in the patient s history. Iatrogenic bleeding occurs, most often, after transcutaneous bile punctures, laparoscopic cholecystectomies, cateterisms of the biliary ways. After such interventions, hemobilia may appear earlier, but also up to a few months later. We present a case of massive hemobilia occurring 22 months after a laparoscopic cholecystectomy. Cardiac amyloidosis may occur in any type of systemic amyloidosis. The clinical picture is often characterized by restrictive cardiomyopathy. We report the case of a 41-year-old female patient admitted to the Department of Cardiology with clinical signs of right heart failure: congested jugular veins, hepatomegaly, peripheral edema, ascites associated with atrial fibrillation, low values of arterial blood pressure and oliguria. Echocardiographic findings were helpful for the diagnosis of cardiac amyloidosis: enlarged atrial cavities, normal size ventricles, thickened ventricular septum and posterior left ventricle wall with normal left ventricular ejection fraction, mitral and tricuspid regurgitation. Two-dimensional echocardiography revealed additional features: thickened papillary muscles and a specific granular sparkling appearance of the thickened cardiac walls - probably due to the amyloid deposit. Gingival biopsy showing amorphous eosinophilic material located in the vessel walls and the specific dichroism and apple-green birefringence under polarized light on Congo red stained slides completed the diagnosis of systemic amyloidosis. We recommend cardiologists to take into account a possible cardiac amyloidosis in a patient with unexplained refractory heart failure and a typical pattern of restrictive cardiomyopathy revealed by echocardiographic examination. We also emphasize the fact that the complete diagnosis cannot be set without a biopsy that should reveal the presence of amyloid. Although endomyocardial biopsy, completed with histochemical and immunohistochemical stains, is a valuable diagnostic method, in cases with advanced cardiac failure, the best site for this biopsy may be the gingiva. Multiple primary central nervous system tumors are rarely seen in clinical practice and reported in the literature. The pathogenesis of multicentricity of primary tumors of the central nervous system still remains a debate, this pathology being found in almost two percent of reported tumor cases. Multifocal tumors are often described within the same hemisphere and supposed to be disseminated along the white matter tracts. On the opposite, multicentric tumors are found in the other hemisphere in subtentorial structures and are considered synchronous. We illustrate here the case of a young man admitted for symptoms of intracranial hypertension, diagnosed with multifocal and multicentric low-grade oligoastrocytoma with particular evolution and imagistic appearance. The association between two autoimmune diseases is known in the literature as overlap syndrome. We present the case of an 18-year-old boy, diagnosed at the age of 13 with an overlap syndrome between type I autoimmune hepatitis and sclerosing cholangitis. The response to immunosuppressant therapy was hampered by azathioprine-induced toxicity causing severe pancytopenia, as a result of thiopurine methyltransferase enzyme genetic deficiency. Treatment was replaced by mycophenolate mofetil. Although the relapse rate was reduced, the disease progressed to cirrhosis. Specific features of this case were the overlap syndrome, young age of onset, especially for sclerosing cholangitis, azathioprine toxicity that influenced the prognosis and the treatment problems regarding the use and efficiency of alternative immunosuppressant agents in pediatric patients. Bilateral synchronous primary ovarian carcinoma, histopathologically identical or different is a rare entity encountered in clinical practice. We present the case of a 38-year-old patient who is admitted with the presence of a massive pelvic abdominal tumor formation of 45/35/25 cm occupying the lower pelvic and upper abdominal floor, reaching halfway distance between the umbilicus and sternum and lateral bilaterally in the two abdominal flanks until iliac wing. The mixed transabdominal/transvaginal ultrasound and computed tomography (CT), establish the diagnosis of bilateral ovarian tumor. The CA-125 level is 1822 IU/mL. The exploratory laparotomy identifies two distinct bilateral ovarian tumors, ascites liquid and pelvic and lumbo-aortic lymphadenopathy, thus the surgery involves hysterectomy with bilateral ovariectomy, pelvic and paraaortic lymphadenectomy and omentectomy. Histopathological and immunohistochemistry (IHC) diagnosis highlights a well-differentiated serous carcinoma on the left ovary and right ovary. The six-month check after surgery as well as the one-year check showed the efficiency of postsurgery chemotherapy and did not signal the presence of relapses. The particularity of this case lies in the presence of bilateral synchronous primary ovarian carcinoma, histopathologically and IHC indicated serous carcinoma present with a difficult differential diagnosis including clear cell carcinoma at a young patient. A 25-year-old woman with a five years history of syncope, mild left ventricular hypertrophy and moderately enlarged atria, was diagnosed with third degree atrioventricular heart block alternating with atrioventricular heart block 2:1, and received a dual chamber pacemaker. After three years of evolution, she developed atrial fibrillation, marked biatrial enlargement, severely depressed longitudinal myocardial velocities, associated with mild girdle weakness and slight increase in creatine kinase level. The diagnosis of restrictive cardiomyopathy with mild skeletal myopathy imposed the screening for a common etiology. Skeletal muscle biopsy revealed the morphological picture of myofibrillar myopathy with sarcoplasmic aggregates, immunoreactive for desmin and other ectopic proteins on immunohistochemistry, appearing as granulofilamentous material at ultrastructural level. Western blot analysis confirmed the desmin overexpression. Genetic testing identified a heterozygous missense variant DES rs869025381, c.1297C>A, p.(Pro433Thr), not previously reported. This is not only the first confirmed Romanian patient with myofibrillar myopathy with clinical features of severe restrictive cardiomyopathy associated with mild skeletal myopathy, but also a case which adds up to the known mutational spectrum in desminopathy. In this manuscript there are presented two cases, both with mandibular reconstruction with autograft harvested from the iliac crest, performed more than 40 years ago, but with different bone defect etiology, i.e., mandibular dysplasia and mandibular fracture, both having currently extensive tooth loss in the mandible, being in need for prosthetic rehabilitation. These cases confirm that reconstructive surgery of mandibular bone defects with autograft from iliac crest has a satisfactory long-term outcome, providing acceptable conditions for prosthetic rehabilitation. Bone resorption in the grafted area seems to be related to the etiology of bone defect, and influenced by preservation of dental occlusion and masticatory function. Reconstructive surgery made decades ago has sequelae that increase the difficulty of prosthetic treatment of edentulous patient, that need to be proper evaluated and included in the treatment plan, in an individualized approach, in order to obtain an acceptable functional outcome. Synchronous gastric tumors, and, especially the presence of an adenocarcinoma and gastrointestinal stromal tumors, are less frequent. We present the case of a 75-year-old patient, with no gastrointestinal pathology in the medical history, who was admitted for marked asthenia, nausea, coffee grounds vomiting, inappetence, dizziness, weight loss and periodical epigastralgias. The clinical and imagistic examinations highlighted an ulcerative, infiltrative, bleeding tumor formation, present on the anterior side and subcardially on the small curvature. During the surgery, there was highlighted a second tumor, whitish, of about 2.5 cm, prominent under the peritoneal serous, of firm consistency and with an adherence to the stomach muscles. For removing the two tumors, there was performed total gastrectomy with esophagus-jejunal termino-lateral anastomosis, with jejunum ansa in omega . The histopathological and immunohistochemical examinations established that the first tumor was a poorly differentiated carcinoma, and the second was a gastrointestinal stromal tumor. The patient s evolution was a good one, both clinically and biologically, the imagistic examinations performed after six and 12 months highlighting the lack of local relapses and absence of metastases. Chronic thyroiditis may present a focal lesion, often-palpable abnormality, simulating nodular disease. The number and morphology of the Hurthle cells (HC) vary in the thyroid aspirate. Distinguishing between neoplastic and non-neoplastic HC lesions is difficult when using the fine-needle aspiration cytology (FNAC). We present the case of a 46-year-old female with a large right nodular goiter and hypothyroidism and high titer of anti-thyroid peroxidase antibody (TPO). The thyroid ultrasound showed a large well-defined nodule (more than 6.8 cm) with hypoechogenicity and microcalcification. FNAC (Mayo Clinic technique) smears revealed HC arranged in flat sheets in 75% in the sample with moderate nuclear pleomorphism, abundant granular cytoplasm showing eosinophilia and well-defined cytoplasmic borders, a lightly eccentric enlarged nuclei; the colloid was reduced and lymphocytes were also described. The final histological examination revealed that oncocyte cell proliferation is limited to the thyroid parenchyma and does not exceed the capsule and has no vascular invasion. The presence of lymphocytic infiltration and a performing FNAC (like Mayo Clinic technique) is absolutely necessary in a focal autoimmune thyroiditis in order to exclude HC carcinoma. Diverticular disease is frequent amongst the elderly and immunosuppressed patients. It mainly presents as sigmoid diverticulitis, but severe complications, like bleedings, infections and colon perforation may occur, frequently due to immunosuppressive therapy. Moreover, antibio-therapy and hemostatics may not efficiently control evolution in such cases. Early diagnose and adequate treatment of colonic diverticulosis complicated with lower gastrointestinal bleeding and diverticulitis in immunocompromised patients. We report a 55-year-old patient who underwent de novo renal transplantation one year ago and recently developed a severe diverticular bleeding complicated by hemorrhagic shock. Colonoscopic examination revealed diverticular disease with diverticulitis and severe, diffuse bleeding, mainly in the descending colon. Due to his immunocompromised status and unfavorable evolution under hemostatics, recombinant coagulation factor VIIa (rFVIIa) was given to avoid surgery. The bleeding stopped after two doses of rFVIIa. Unfortunately, after three weeks, lower quadrant pain, tenderness, abdominal distention, and fever occurred, in spite of immunosuppressive drug changing and adequate conservative therapy. Abdominal computed tomography (CT) scan revealed complicated diverticulitis, so patient underwent surgery, with partial colectomy, followed by total recovery. In conclusion, diverticulosis coli complicated with lower gastrointestinal bleeding and diverticulitis in immunocompromised patients was for us a challenging diagnosis, as well as a therapeutic issue. Treatment options, usually based on our local resources and expertise, considered conservatory therapy as the first choice, keeping surgical maneuvers just as a rescue solution. Duodenal gastrointestinal stromal tumors (GISTs) are uncommon. Tumors arising from the first and the second part of the duodenum (DI and DII, respectively) can be wrongly diagnosed as pancreatic mass. We present a case of a 59-year-old woman who came with abdominal pain and severe upper gastrointestinal bleeding (hemoglobin 3.5 g/dL). A solid, heterogeneously enhancing neoplasm in the head of the pancreas was revealed preoperatively by an abdominal computed tomography scan. A diagnosis of GIST was suggested. On exploratory laparotomy, there was a large mass which appeared to be originating from duodenum or from head of pancreas. Intraoperative histopathological diagnosis was GIST. Histopathology showed spindle cell tumor with cytoplasmic eosinophilia and foci of necrosis. The mitotic count was less than 5/50 high power fields (HPFs). Tumor was involving duodenal muscularis propria, with no infiltration in the duodenal epithelial layer and the pancreas. Immunohistochemical study revealed positive staining for CD117. The tumor was finally diagnosed as GIST arising from the duodenal wall, growing exophytically and attached to the common bile duct and pancreas, without infiltrating the pancreas. Duodenal gastrointestinal stromal tumors can grow exophytically into a large mass and involve the pancreas without infiltrating microscopically and present as pancreatic head mass. Cigarette smoking is the most frequently encountered risk factor for chronic obstructive pulmonary disease and lung cancer. The latest American Thoracic Society/European Respiratory Society classification of idiopathic interstitial pneumonia includes two entities related to smoking habits: respiratory bronchiolitis-associated interstitial lung disease and desquamative interstitial pneumonia. The new approach to diagnosis is to combine pathological pattern with clinical and radiological data. Lung biopsy is no longer considered the gold standard for diagnosis, but as a part of the diagnosis, which shall be set only after the pulmonologist, radiologist and pathologist reviewed all clinical, imaging and pathological aspects. We report a case of a young male, who complained of respiratory symptoms, had normal volumes and flows on lung function tests, moderately reduced transfer factor for carbon monoxide and ground glass attenuation on high-resolution computed tomography. Because the patient had exposure to contact with parrots, hypersensitivity pneumonitis was considered, but the broncho-alveolar lavage was without lymphocytosis. Open lung biopsy confirmed the diagnosis of respiratory bronchiolitis-associated interstitial lung disease, a rarely described entity in the medical literature. The patient had a good clinical outcome after smoking cessation. Aneurysm of the cystic artery is not common, and it is a rare cause of hemobilia. Most of reported cases are pseudoaneurysms resulting from either an inflammatory process in the abdomen or abdominal trauma. We report a healthy individual who developed hemobilia associated with cystic artery aneurysm. Visceral artery aneurysms are rare and can rupture with potentially grave outcome due to excessive bleeding. The patient was managed with cholecystectomy and concomitant aneurysm repair. Chondrosarcoma is a malignant hyaline cartilage forming tumor. It is a rare pathology, with an estimated incidence of one in 200 000 individuals per year. It appears in two forms: primary, representing 90% of all cases and secondary emergence that develops on preexistent lesions. Primary chondrosarcomas are uncommon in the hand, with a frequency of only 1.5-3.2% of all chondrosarcomas. In conventional chondrosarcoma (cCS), the histological malignancy grading represents the main prognostic factor for surgical planning and prognosis. We present the case of a 60-year-old male, examined in the First Department of Orthopedics and Traumatology, Dr. Pius Branzeu Clinical Hospital, Timisoara, Romania, with non-specific symptoms in the right hand. After clinical examination and imagistics, surgery and histopathological examination of the tumor were performed. This showed a conventional well differentiated - G1 chondrosarcoma, as suggested also by imagistic and clinical context. Apert syndrome - acrocephalosyndactyly - is a rare autosomal dominant disorder representing 1:65 000 cases of living newborns. Characteristic malformations of the Apert syndrome are early craniostenosis, microviscerocranium and II-V finger syndactyly of hand and toes with proximal phalanx of the bilateral thumb in delta. It is difficult to determine prenatal diagnosis in the second quarter, when examining the morphology of fetal signs; the dysmorphism signs appeared in the third pregnancy quarter. We present here the case of a newborn with Apert syndrome that was born prematurely in our Clinic after a monitored pregnancy, where there was issued a suspicion of cranio-facial dysmorphism, malposition and malformation of the feet and hands in the third quarter of prenatal pregnancy. The diagnosis of Apert syndrome was placed on clinical signs, laboratory and genetic tests. The clinical outcome of the baby in the maternity was favorable, the therapeutic management being established by a multidisciplinary team. Immediate complications were due to the case of prematurity: respiratory distress syndrome and the characteristics of the syndrome: micrognathia and naso-facial dysmorphism, syndactyly, bilateral foot metatarsus adductus. Giant cell arteritis (GCA) is an inflammatory vasculitis of unknown etiology that mainly involves large and medium arteries, particularly the cranial branches of the aorta. GCA with consecutive arteritic-anterior ischemic optic neuropathy (A-AION) has rarely been diagnosed in Romania. Recently, we encountered an 83-year-old patient who presented with left eye visual impairment and corresponding optic disc diffusely swollen and pale. He also had typical manifestations of GCA, such as malaise, and temporal headache, and a highly elevated erythrocyte sedimentation rate and C-reactive protein level. Biopsy of his left superficial temporal artery revealed a granulomatous inflammation with multinucleated giant cell infiltration, so he was diagnosed with GCA with consecutive left A-AION. Because without treatment, this affection usually progresses very rapidly, the patient was promptly treated with an adequate dosage of steroids, which was essential to save the visual function of both eyes. Our case report confirms the potential of visual recovery after prompt corticosteroid treatment in GCA with eye involvement. Aim: Doege-Potter syndrome is a rare condition consisting of a mesenchymal tumor, either benign or malignant, accompanied by severe hypoglycemia. The syndrome was first described independently by two American physicians, Karl Walter Doege (1867-1932) and Roy Pilling Potter (1879-1968), in 1930, but it was not before 1988 that it was associated with non-islet cell tumor production of insulin growth factor (IGF) that induces hypoglycemia as a paraneoplastic syndrome. Case presentation: We present the case of a 61-year-old woman with severe hypoglycemia that induced seizures. On the general check-up, a massive tumor occupying the lower part of left hemi-thorax was discovered. Initially, corticosteroids, glucose i.v. and high carbohydrate diet managed to prevent the severe blood glucose drop. Surgery exposed a massive well-defined pleural tumor. After surgical removal, blood glucose stabilized. Histological examination confirmed the fibrous tumor that proved to be malignant on immunochemistry. Discussion: The authors discuss other cases reported in the literature of this rare condition and its pathogenic mechanisms, the presented case being the first reported in Romania. Conclusions: The clinician should be aware of the possible existence of a pleural tumor in a patient presenting an unexplained hypoglycemia because the surgical removal of the tumor can solve the clinical manifestations. In the last decade, more and more medicine students are involved in research, either in the form of a research project within specialized courses or as a scientific article to be presented at student international conferences or published in prestigious medical journals. The present study included 250 2nd year medical students, currently studying within the University of Medicine and Pharmacy of Craiova, Romania. There were collected 239 responses, with a response rate of 95.6%. In our study, the results showed that foreign students within the University of Medicine and Pharmacy of Craiova did have some issues understanding plagiarism with fewer foreign students (34%) than Romanian students (66%) recognizing that simply changing words does not avoid plagiarism. In our opinion, there should be put more emphasis upon plagiarism implications and its aspects, as well, with a permanent order to try to prevent future attempts of plagiarizing among medical students as future researchers within the medical science field. The authors begin from the Latin expression Multum in parvo, which is used to summarize the essential aspects of something. This phrase is used in this case to define the Glasgow Coma Scale (GCS) - the posttraumatic conscious state evaluation scale. The authors gather the entire information regarding the creation of a uniform evaluation scale for the patients that have the state of consciousness altered or are even in a posttraumatic coma. This subject has been thoroughly debated for over 40 years. Teasdale and Jennett represented a huge step in the evaluation of patient s state of consciousness. They created a universal scale usable by all the medical fields involved in neurotraumatology. This scale with a maximum of 15 points and a minimum of 3 proved its efficiency and usefulness with all its existing imperfections. The scale is based upon three simple answers: ocular response 1-4 points, verbal response 1-5 points, motor response 1-6 points. The authors have taken in consideration the pediatric coma scale which derived from the original GCS and other known scales such as FOUR (Full Outline UnResponsiveness). This scale is focused on appreciating the state of consciousness of intubated patients who have altered cerebral functions. The prognosis scale, Glasgow Outcome Scale (GOS), which later has been modified intro Glasgow Outcome Scale Extended is also presented. In over 40 years since their first use, the GCS and GOS have proved their efficiency and universality in evaluating the consciousness state of traumatized patients. During the XXth century, the evolution of histology in Romania was marked by different personalities. The aim of our paper is to present a parallel between two Professors of Histology: Alexandru Tupa (1886-1956) and Cornel Crisan (1895-1958) - who were contemporaries. Thus, we bring a homage to their memory, because in 2016 was the anniversary of 130 years since the birth of Al. Tupa and in 2018 will be the commemoration of 60 years since the death of C. Crisan. Both carried out their didactic and scientific activities at two prestigious Faculties of Medicine from Romania: Tupa in Jassy and Crisan in Cluj. Although they had a great respect one for the other, both of them progressing in the same morphological domain, yet it was not a close relationship between them. In our paper, we point out the numerous similarities regarding their lives and careers. The main resemblance between them, seen from a general perspective, is that they did not become unrivalled figures of the School of Medicine from Jassy, respectively from Cluj, even they were remarkable professors and scientists. 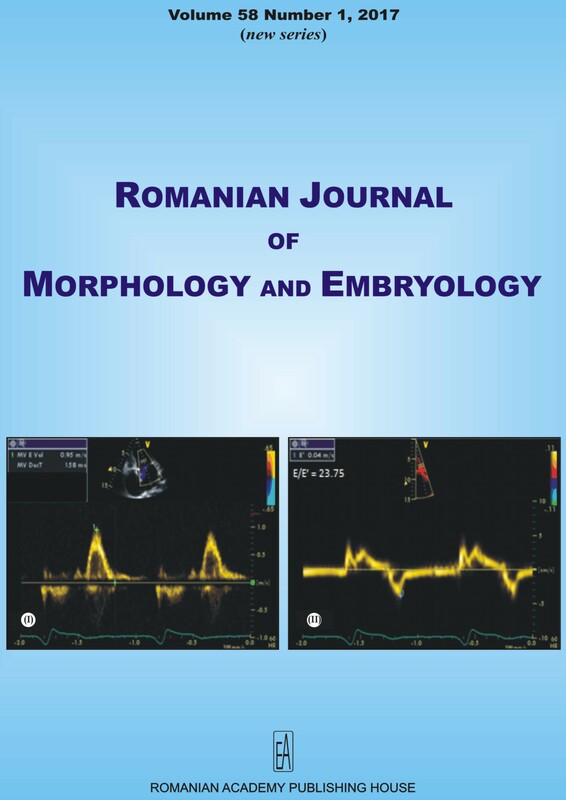 In our article, we also mention their contribution to the development of histology in Romania.